Much has been written about shadow IT at the business unit and employee level where the proliferation of cloud applications has all but eliminated IT’s control over what applications are used in their organization. The explosion of public cloud technologies has caused an identical revolt amongst development teams who no longer want to—or need to—wait for IT to spin up the IT infrastructure needed to fuel their development efforts. The reality is public cloud has drastically changed the expectations of developers – even if they aren’t using it. SAFe and DevOps – a recipe for a delivery smoothie! Gone are the days where development teams are satisfied with putting in a help desk request for a new server and waiting to access it. Developers now expect IT to provide services similar to what they can get from a public cloud provider. And if you can’t provide it? Then you risk them pulling out a credit card and bypassing everything you’ve built. But just as shadow IT can wreak havoc on data security and IT budgets, there’s a whole new set of problems that can arise when shadow IT hits the infrastructure level. So now that the developers’ expectations for immediate resources have been changed irrevocably by public cloud, what can IT do to bridge the gap? First and foremost, the obvious one—give developers the immediate access to IT resources that they need to do their jobs. IT needs to leverage its existing investment in virtualization technologies by providing self-service provisioning and virtual machine management capabilities to developers. In other words, get out of the way and give them what they want. Giving back control is the best way to ease what can be a tenuous relationship between IT and developers. Developers will be happier because they will be provisioning new servers in minutes rather than days and IT can focus on more interesting challenges. Self-service provisioning is only step one. IT needs to get out of the business of provisioning servers and let developers manage their virtual machines themselves. However, that doesn’t mean that IT should leave developers to manage every aspect of their cloud usage on their own. On the contrary, IT’s job should be to create the tools and infrastructure to ensure best practices within your organization and track IT infrastructure resources to avoid unnecessary infrastructure costs. But how? The first step is using a centralized automation and orchestration technology. I won’t get into the religious battle between the various flavors—Puppet, Chef and Ansible are the three most common that we see and they all have their strengths and weaknesses. However, they all provide the type of framework IT needs to empower self-service provisioning capabilities. IT should own the base OS images which developers can use for their virtual machines and use an automation framework to provide the means so that developers can easily set up a common set of framework applications (e.g. web servers, databases, monitoring tools, etc.). IT can also use cloud management tools to effectively track resources. We’ve seen many instances where customers have discovered numerous unused VMs. By tracking resources and enforcing expiration dates on certain resources, IT can deliver infrastructure more cost effectively. Frankly not all clouds are created equal. And certainly not for all tasks. An internal VMWare virtualization may provide a great cloud—once IT has provided the services mentioned above—for most developer’s needs—but don’t stop there. For example, public clouds, like AWS, Azure, Google, have servers located all around the world. That makes them ideal for web applications which are going to have geographically dispersed users. Most IT shops certainly shouldn’t be trying to duplicate that capability or prevent its usage. Embrace it instead, where appropriate! That doesn’t mean that IT shouldn’t have visibility and control into that usage. IT should strive to create a system which supports a collection of private and public clouds, has unified chargeback/showback and quotas across ALL of the private and public clouds that IT wants to support. These best practices shouldn’t be limited to developers! One of my favorite use cases that I have seen was an IT shop which provided their sales team with the capability to spin up VMs for product demos. They encapsulated the complexity of 10+ product variations and multiple operating system varieties into a single dialog box. When the sales manager wanted to do a demo, they checked a couple of boxes in a dialog box, hit submit and a VM was spun up on their internal VMWare cloud which automatically expired 8 hours later. This was a perfect example of allowing a non-technical user to control of their own virtual machines while IT maintained complete control of the underlying technologies. 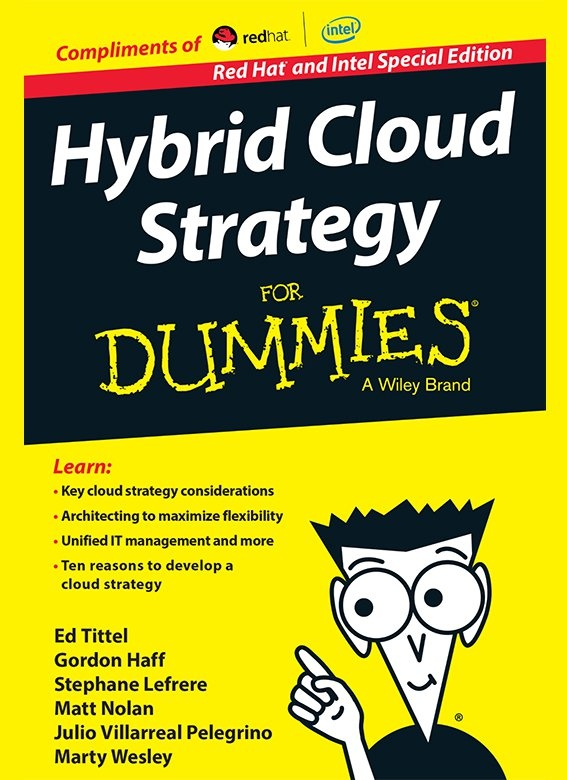 One final word of caution: the world of private and hybrid cloud is changing very rapidly. IT needs to be able to utilize their existing virtualization infrastructure, typically VMware, today while exploring new private cloud options like OpenStack and preparing for the future of containerization and micro-services. It’s important to avoid solutions which are locked into a particular technology—which may leave IT behind in this rapidly changing environment. There is no doubt that public cloud has led developers to have drastically increased expectations for private IT. By putting in place a cloud management platform backed by DevOps server automation, IT can meet these expectations and stop the growth of shadow IT at the infrastructure level. Jon Mittelhauser is the CEO of CloudBolt Software. A 20-year Silicon Valley veteran, Jon Mittelhauser has a proven track record of building highly regarded technology organizations from the ground up and helping to architect pioneering technologies. He is considered one of the founding fathers of the World Wide Web. He was co-author of the first widely-used Web browser, NCSA Mosaic, and was a founding engineer of Netscape Communications Corporation. Mittelhauser was an early investor in Tesla Motors and one of the first Tesla Roadster owner.